Bears have continued struggling to accomplish anything on the downside, as bulls keep turning prior resistance into support, and making higher lows and higher highs. Last update noted the market had reached an inflection zone and that bears might have a shot to get something going if they could hold bulls below 2896, but futures this morning indicate that SPX will gap up (yes, yet again). Lately all the action has been in the overnight, with the day sessions being about as exciting as reading a washing machine instruction manual. INDU shows that all the last decline did was test the black uptrend line and bounce -- and now it looks like it wants to test upside resistance. 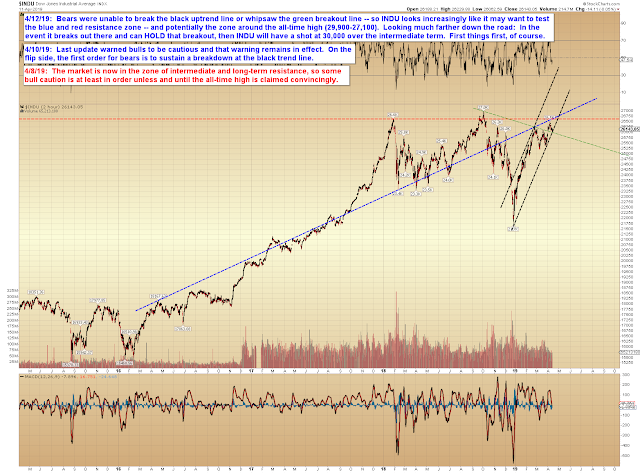 Bears do need to be aware that INDU is in the early stages of coming out of a potentially dangerous pattern for bears. One day at a time, of course, and this is ahead of the action, but if bulls can sustain a breakout over the all-time high, bears may need to bed down for a long winter's nap (again). 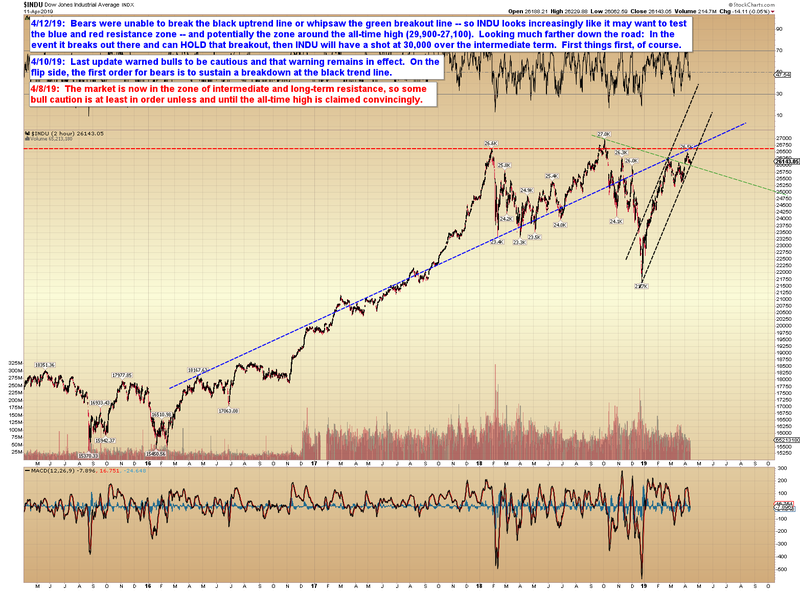 In conclusion, the market is rapidly approaching the all-time high. 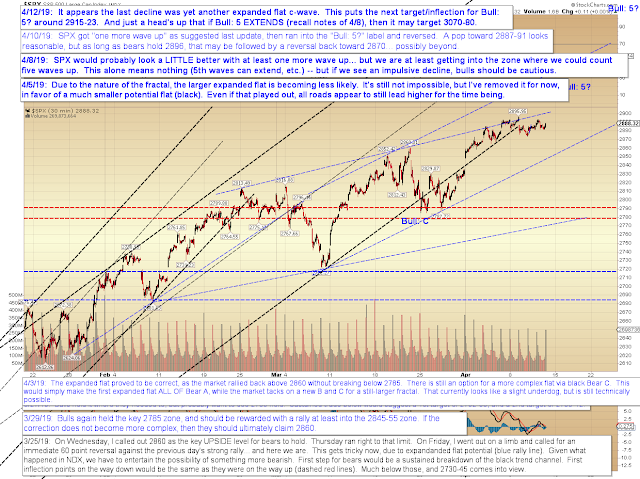 What happens next will probably take a few sessions to play out, in terms of the market tipping its hand -- but once it does play out, the market's tone will likely be set for the foreseeable future. 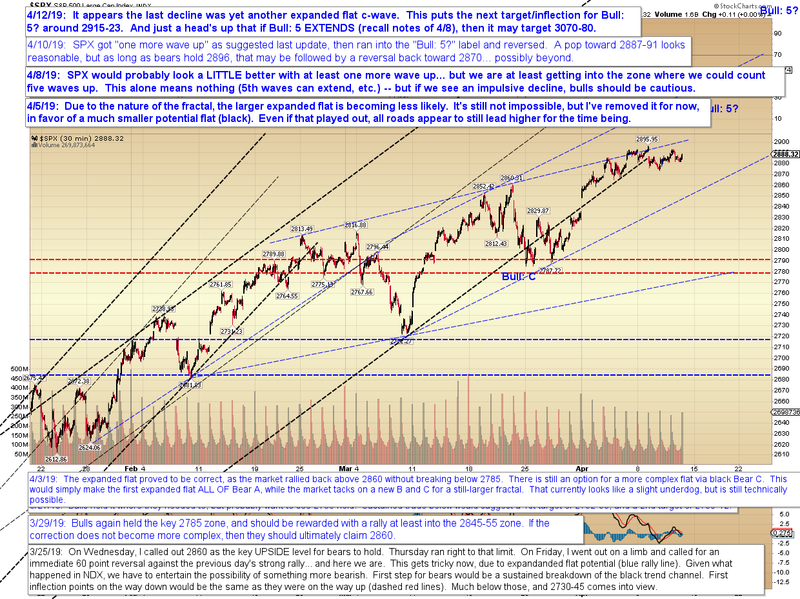 If bears don't show up near the ATH, then bulls will have a reasonable shot to run away with the game. Trade safe.